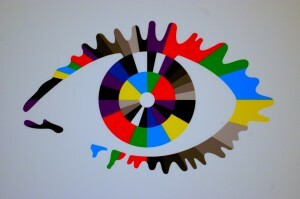 With recent speculation that Channel 5 have renewed their stalled talks with Big Brother owners Endemol. 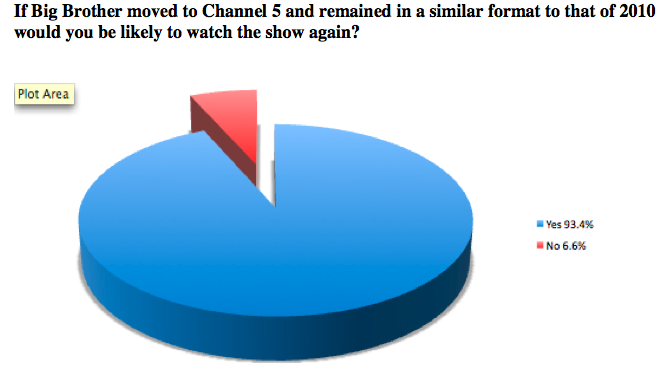 What do the core viewers think about a return to Channel 5? How would a move to Channel 5 or another buyer affect viewing figures and what changes do viewers want to see? Following the final series of Big Brother on Channel 4 and debate over a potential crossover to Channel 5, here at Survation we conducted a poll of highly engaged viewers to find out whether television viewers would continue to watch the show if it retained a similar format, and what changes they would like to see. 93.3% of participants said they would continue to watch following the potential move to channel 5. In a comparison of former presenters, Davina McCall and Dermot O’Leary were the most popular and George Lamb and Russell Brand were less so. Many participants said they would like to see new presenters, or that the format and contestants were more important than the presenters. Popular suggestions for presenters included BB winner Brian Dowling, former presenter Dermot O’Leary and recent BBLB addition Emma Willis. There is a clear preference for the format of the earlier series’ with basic tasks, fewer housemates entering throughout the show, and with strictly no contact with the outside world. Many participants also said that Big Brother should be stricter with housemates, punishing rule-breakers more consistently and evicting housemates as soon as they say they want to leave. Fans felt that in recent years contestants have been too fame hungry, vain and TV ready and that they would like to see less “freaks”, “eccentrics” and “wannabes” and a more diverse variety of “ordinary” and “natural” housemates. Many participants said that they felt that the production team manipulated coverage by focusing on particular housemates and “fauxmances” when they should be providing impartial coverage. The optimum series length was considered to be 12 weeks rather than the 15 weeks of the later series’. 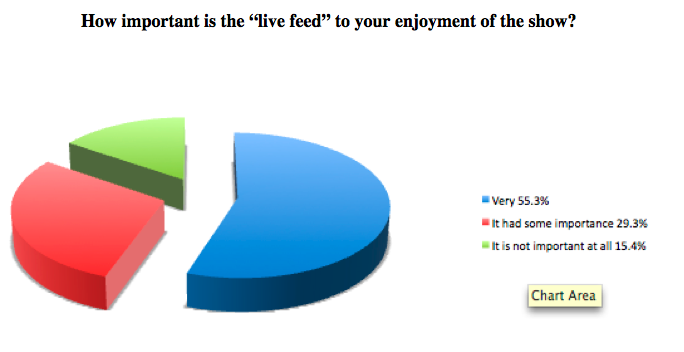 Over half the participants said that the live feed is VERY important to the program and vital to their enjoyment of the show. Many viewers commented that they would like to see the return of the BB psychological program or more aspects of psychological analysis in the other shows. There are 36 pages of audience feedback from over 1000 viewers /21,000 words available in the full report on request. 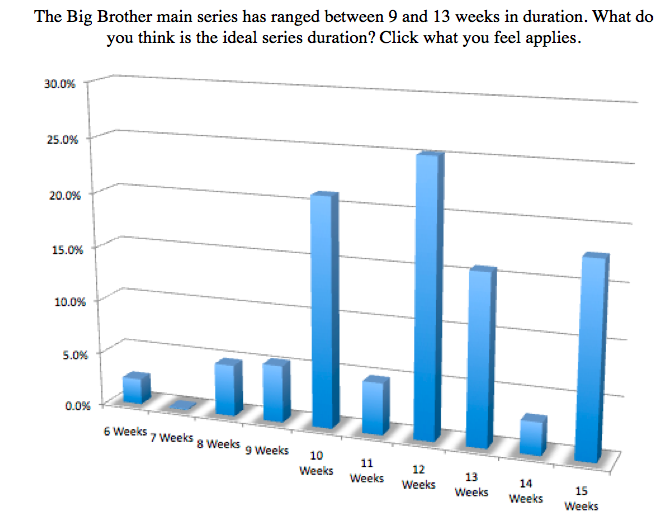 Our research clearly shows that Big Brother viewers are still very much engaged with the program, and whether or not the format, presenters or channel remain the same there is still a dedicated fan base who would love to see the return of Big Brother. As you can see from the pie chart above, the group we survey represent core, loyal fans of the show. 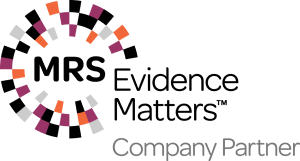 We believe that the views of this group are a significant group relative to the whole, especially given the decline in viewership of BB in recent years to the current series average 2.9mm (unofficial, overnight) average level (possibly 3.2mm considering recorded viewing) from a series peak of 5.8mm in Big Brother 3. These engaged viewers are also active in shaping the views of the press and public at large. There are 650 words of user comment in the “other” section, which are available in full, on request in an anonymous form. 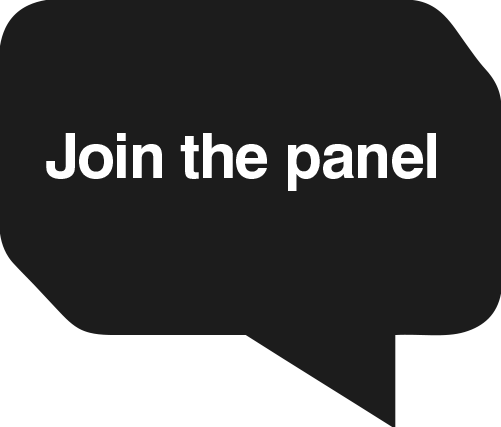 When we asked the optional question – What changes to the format (eg new features, presenters or going back to older formats) would you like to see on a new channel? Tell us as little or as much as you like, we’re listening. 609 of 1104 responders chose to respond with 36 pages of feedback, over 21,000 words which are available in the full report. The above chart speaks for itself. On a scale of 1-5, with 5 being the highest how important are/were the following presenters (past and present) to your potential FUTURE viewing of the show? On a scale of 1-10, with 10 being the highest, how important do you feel the show’s “Geordie” (actually Teeside) narrator Marcus Bentley is to your enjoyment of the show? Respondent age ranged from 12 to 87 years old. The Median age in the survey was 46. The Modal age was 44. 64.5% of respondents were female. Data will also be available to fans of the show at a later date. 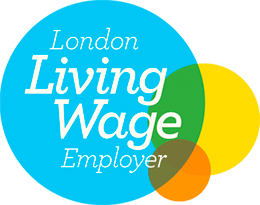 Charlotte Ralph writes for Survation and has an Msc from the LSE (London School of Economics and Political Science) [2008-2009] (Msc Gender and the Media) B Soc. Sci. Politics and International Relations programme Manchester University [2005 -2008] 1st class degree with honours.